I've been asked recently about the difference between Social Return on Investment (SROI) and Cost Benefit Analysis (CBA). This often stems from a belief that CBA is cheaper, so "will it do" instead of a full SROI analysis? Leaving aside misconceptions about the cost of SROI analyses (there are some fantasy figures floating around), it helps to understand their different purpose as well as methods. In principle, the two are closely aligned. Indeed, SROI is often viewed as a development of more conventional CBA. Both involve assessing overall value from a particular project or course of action, and comparing it with the cost involved. In both cases, outcomes should be monetised (i.e. measured in pounds and pence), and this should include valuation of 'soft' outcomes such as health, well-being and environment. The difference in practice arises because CBA is most often used to prove a point or compare different policies. 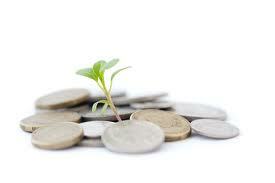 SROI meanwhile takes the organisation or project itself as the starting point. It considers how that organisation/ project generates value and hence how that value can be improved. It generates a cost-benefit comparison, known as the SROI ratio, but this is just part of the process rather than the ultimate goal as in CBA. As an example, take two reports on the theme of carers – those who care at home for adult relatives with special needs or disabilities. Valuing Carers 2011*, from Carers UK and partners, assesses how much carers save the public purse by calculating the cost of providing an equivalent level of paid homecare. This is a simple form of benefit analysis based solely on the perspective of public expenditure, and some of its assumptions are open to challenge (e.g. that home carers receive no state support at all). Moreover, it serves purely to demonstrate a value figure, not how that value could be enhanced. In comparison, the Princess Royal Trust for Carers commissioned an SROI-based analysis on five of its centres that provide support for carers**. This gives a figure for value generated, but also shows how that value is produced through different ways of working – something the organisation itself can use. In fact this is not a full SROI analysis because it only considers the perspective of carers themselves, not the benefits that accrue to the state or others. Neither of these studies considers value for the person being cared for (arguably the most important stakeholder) – the benefits of being cared for at home by family rather than institutional care. A full SROI analysis would consider all of these perspectives and any others where impact is significant. Also, one of SROI's core principles is 'involve stakeholders', and this means engaging people directly involved with that service rather than relying on national averages or other published data. The result is a localised study focusing on that specific project or service, as opposed to more generalised information on the type of service provided. It comes down to understanding not just what you want to evaluate, but why. If the purpose is simply to demonstrate financial savings to government or the NHS, then CBA may well be appropriate – though it still needs to be done well. However, if the aim is also to understand how this value can be improved, and hence how the project or service can become even more effective, then SROI will give you the additional insight you need.